Stakeholders in the global aviation industry yesterday took stock of the debilitating effects of bird strikes to aircraft engines and operations, estimating the loss at $1.2 billion. They spoke at an international workshop on aviation hazard management in Africa, organised by the Nigeria Civil Aviation Authority (NCAA), in collaboration with the United States Federal Aviation Administration and Embry Riddle Aeronautical University. Permanent Secretary, Ministry of Aviation Ms Anne Ene Ita said the frequency of bird strikes in West Africa was worrisome. She said in the global context of air transport, bird strike was not only dominant but also remains a natural and universal phenomenon. Canada Geese are recognized by the “V” formation they create as they migrate in the spring and fall over North America. Up-close, they can be identified by their long black necks, a white “chin strap”, and brownish grey feathers. Many people assume that Canada geese fly south in the fall to reach warmer climate, then return to nest in early spring. This behavior has changed over the years due to many variables, and Wildlife specialists are seeing more geese remain in one spot year round. Known as residential Geese, there are usually three common denominators that define their ideal location: a mild climate, food and water. Resident geese have been staking their claim on residential and commercial properties across the nation, leaving many property owners with one question, what can I do? Geese are grazers, and lawns near water provide an excellent food source. Golf Courses, gardens, beaches, residential lawns, and parks are regularly becoming swamped with pesky Geese. Treating grass areas with a goose repellent is a good start to controlling a goose problem. If you take away the food source, the geese will have to move on. 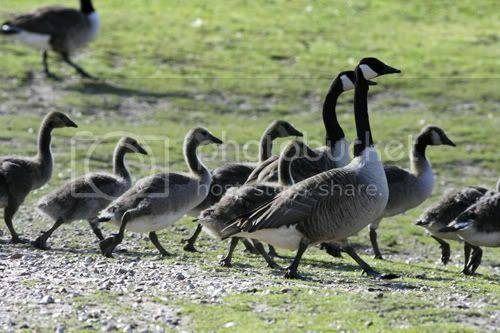 Migrate turf Spray is a goose repellent used to prevent geese from grazing. The repellent is made of a non-toxic grape extract that has been used to repel geese and birds for ages. The extract, methyl anthranilate, is a food grade substance, approved by the FDA, also used in grape flavored candy and soda. When the repellent is applied to a lawn area, the grass will no longer be edible for geese; they will have to move on to a better location with a food source. Beyond the Migrate Goose Repellent, there are also visual and audio products available to help deter pest geese. Visual deterrents include coyote decoys, balloons, and flash tape. These products work well when set up where the geese are entering a property. 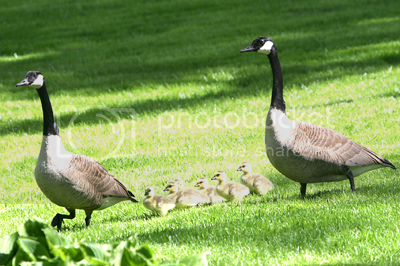 If you have geese entering your lawn from a water area, the bank is ideal spot for placing such products. There are audio systems that can also be used to repel pest geese. The Goose-B-Gone Sonic is an outdoor sound deterrent that plays a mixture of predator and distress calls. 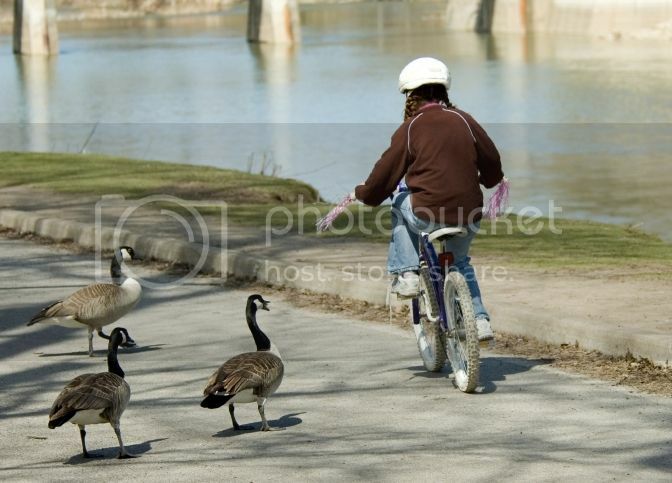 When the geese hear these calls, their natural instinct is to flee from the area. The Goose-B-Gone Sonic is weatherproof, and can cover between 1-5 acres. Many wildlife specialists recommend using an integrated approach to deterring geese. That is, using a repellent in addition to other products to try and appeal to different senses. Combining a few different methods will render the property undesirable to the Geese. If one method is used the geese may adapt, but taking away the crucial elements can bring you on step closer to a goose free property.